Dr. Stephen P. Stone is professor and Director of Clinical Research in the Division of Dermatology at Southern Illinois University School of Medicine in Springfield, Illinois. Dr. Stone graduated from Tufts University, and received his medical training at New York University School of Medicine. After serving with the U.S. Navy, he completed a residency in dermatology at the Mayo Clinic in Rochester, Minnesota. Dr. Stone then moved to Springfield, Illinois where he maintained a private practice for more than two decades before moving to his current university position. 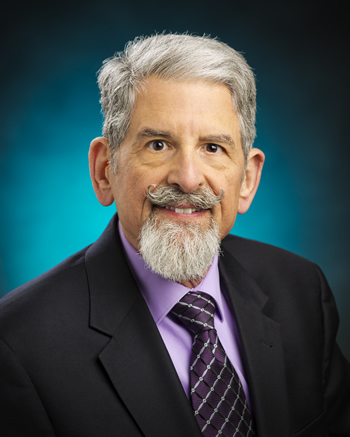 He has received numerous honors and citations throughout his distinguished career including Honorary Membership in the AAD, selection for" Best Doctors in America", "Who's Who in Medicine and Health Care" and "Who's Who in America'. He is past Editor-in-Chief of Dialogues in Dermatology, the AAD's monthly audio journal and served as the 67th president of the Academy from March 2006 through February 2007. His interests in dermatology include psoriasis and other inflammatory skin diseases, acne, occupational dermatology, and skin cancer. He has been involved as an investigator or subinvestigator in more than 40 clinical studies, more than half involving treatment of psoriasis. Dr. Stone has given more than 220 lectures and Grand Rounds presentations outside of his university, including such international venues as Beijing, Shanghai, Xi'an and Guangzhou, China, the Icelandic Dermatology Association, in Reykjavik, Iceland, the Congresso da Sociedade Brasileira Dermatologia, Curitiba and Salvador, Brazil, the Philippine Dermatological Society Annual Meeting in Manila, Republic of the Philippines, the Canadian Dermatological Association, Dermatrends III in Chiang Mai, Thailand, Hong Kong, the International Congress of Dermatology, in Prague, Czech Republic, and the World Congress of Dermatology in Vancouver BC, Canada, Kalambakas, Greece, and Taupo, New Zealand.